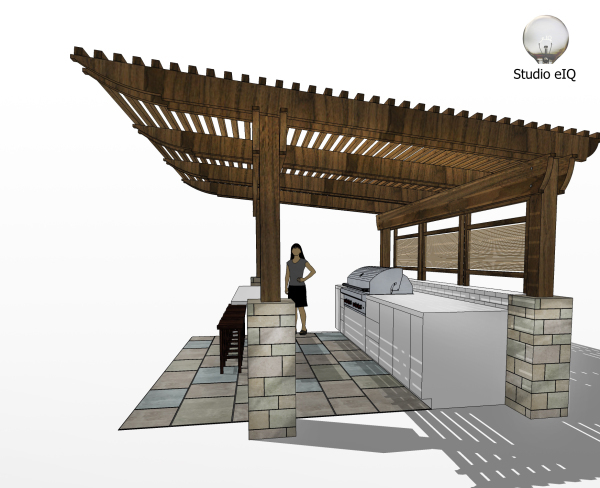 3-D rendering of an outdoor kitchen with pergola. This concept was inspired by a clients vacation home in the Catskills. 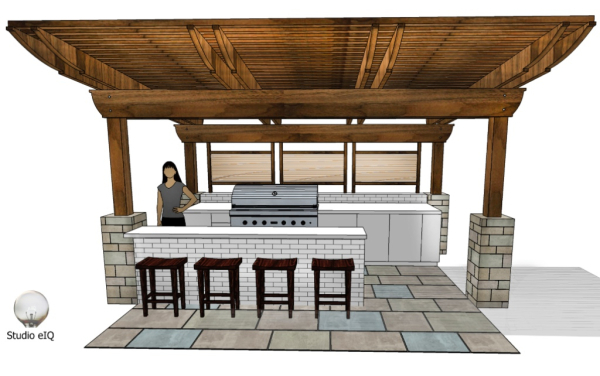 Concept creation, rendering, and estimate available upon request.